As most of you know, I’m a rock n’ roll fan. That being said, I’m a fan of all expressions and all genres of music. Electronic music or country music can exemplify the rock n’ roll spirit, for example. That’s because rock is freedom – freedom from conforming to expectations, whether it be radio, industry, conservative, etc. It does it’s own thing. 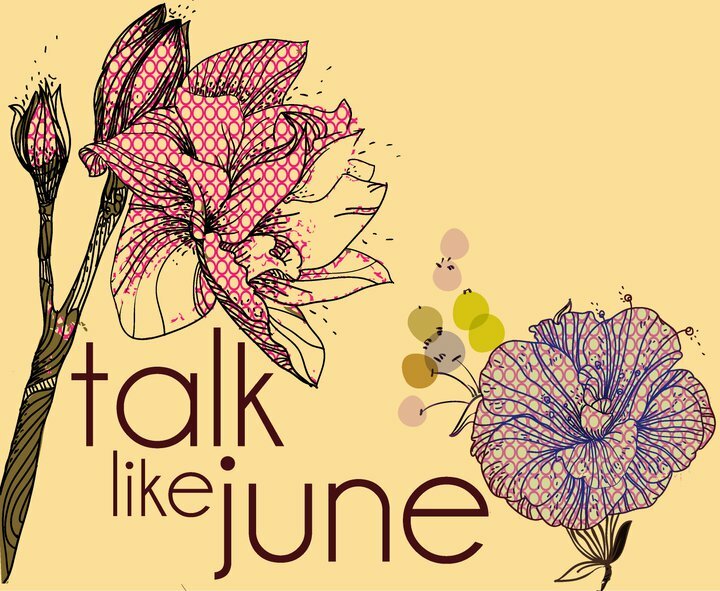 Talk Like June is a pop/rock/country band from San Diego who are led by the charismatic Suzanne Harper, and she most definitely has the rock n’ roll spirit. I always enjoy hearing country music that has a bit of edge and doesn’t play 100 percent to the radio. As their song “Take That” indicates, this band does much more than cater to the rules of straight edge pop, rock and country. The band is fantastic and the pace of the song-writing is masterful. New elements are added roughly every 10 seconds, whether it be new guitar layers, organs/keyboards or samples, and every choice elevates the song. The guitar work is slightly dirty, giving “Take That” an authentic feel. The vocals are dynamite, and it’s not often you can really say that. Suzanne Harper’s voice hits home both emotionally and on a mainstream appeal level. I’d really like to see a full-length from this band and hear more of what’s brewing both lyrically, emotionally and soundscape-wise. There is a lot of promise here, and if we can culturally get over our love of soul-less drivel, there will be a lot of room for bands like Talk Like June on our playlists. Recommended for fans of Adele.